A flower that’s been enjoying our recent sunny weather is the dahlia. A true garden dazzler with their many colours and many shapes. We thought this was a good week to take a closer look at this amazing flower. Colours range from white and delicate blush pinks to truly bold strong reds and purples. But there is no such thing as a black dahlia; it’s a very dark burgundy. Many varieties have several colours. 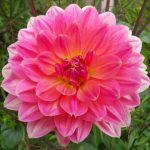 Shapes range from the simpler single flowering anemone, collarette, peony and orchid-flowering dahlias; to the double flowering varieties that include pompoms and the massively ornate cactus dahlias that can be over 30 cm in diameter. 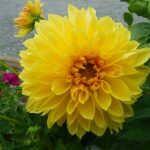 Dahlias belong to the Asteraceae family and are related to other garden favorites such as sunflowers, chrysanthemums, zinnias, and daisies. 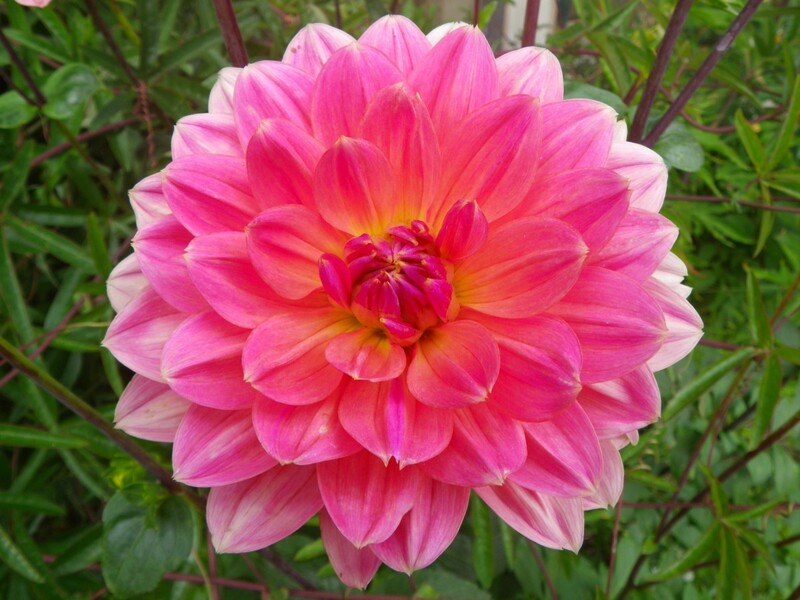 There are more than 30 species and over 20,000 cultivars of dahlias. 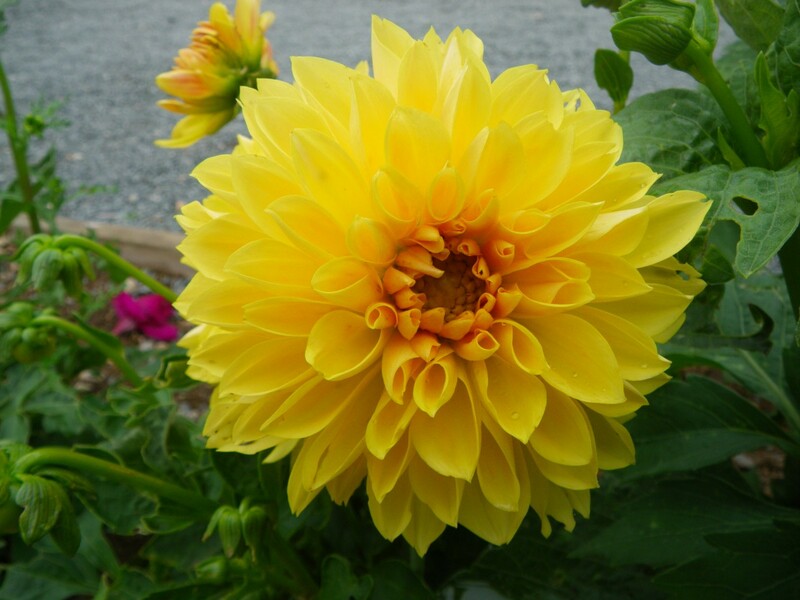 Dahlias originated as a wildflowers in the high mountain regions of Mexico and Guatemala. That’s why they naturally work well and bloom happily in our cool falls. The summer flowers are a bonus! 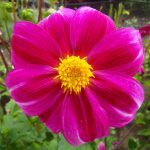 They made their way to Spain via Spanish botanists in the 18th century who noticed dahlias growing wild on the hillsides of Mexico. 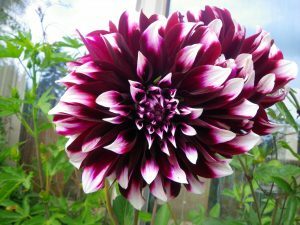 Dahlias were given their name by botanist and director of the Royal Gardens of Madrid Antonio José Cavanilles, who named the flower after another botanist, Andres Dahl. Dahlia flowers are often associated with various meanings that may range from messages of enduring grace to signals of warning. They symbolize elegance, inner strength, creativity, change, and dignity. They are also known to represent one who stands strong in his/her sacred values. During the Victorian era, these flowers were believed to be an indication of personal sentiments. They meant commitment, or an everlasting bond or union. The qualities of elegance and dignity were also associated with them in the Victorian language of flowers. Some others believe that it is a representation of diversity. 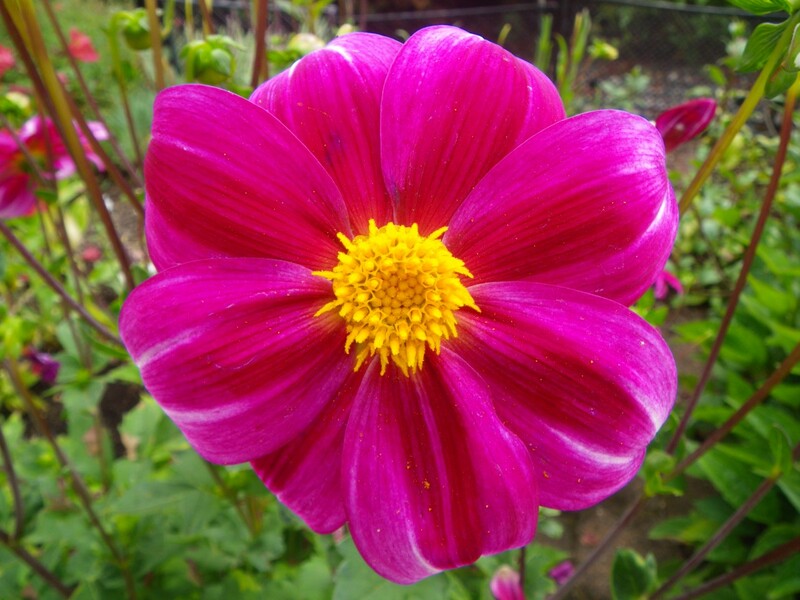 Dahlias tubers are planted in the spring once the danger of frost is over. Usually mid-April. Remember that they are native to Mexico, so they don’t like cold soil. Select a spot with full sun; they love the morning sunlight best. Choose a location with a bit of protection from the wind. This is especially important if you grow the taller varieties. Large flowered varieties will need some support. For most of us, tubers need to be dug in fall and stored in a cool dry place over the winter. A small price to pay for such amazing flowers!